Forget clicking, how many of you actually even care to look at the banner ads or that will be better if I say how many of you don’t find them annoying? I know the number would be negligible. 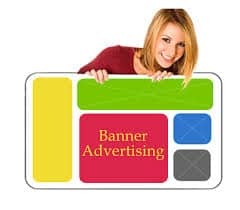 Still, there are a few banner ads that you won’t believe are no less promising than any other type advertising when it comes to hold the user’s interest and engage them. Check out these 10 superb banner ads that prove banner ads need not be boring.